Once you’ve completed the study portion of the SEB program it will be time for you to find the perfect employment opportunity for your Co-op. We have gathered the Top 5 national companies selected from “Canada’s Top Employers” list 2018. Good luck! TD Canada Trust is a commercial banking operation of the Toronto-Dominion Corporation (TD). The company offers financial services to more than 10 million Canadian customers. Working here would definitely provide a great place for you to practice what you’ve learned in your Customer Service Skills and Canadian Workplace Essentials classes. Community involvement: Employees receive up to 2 paid days a year to volunteer at a charity of their choice. Education: TD pays for part of your tuition for job-related courses. 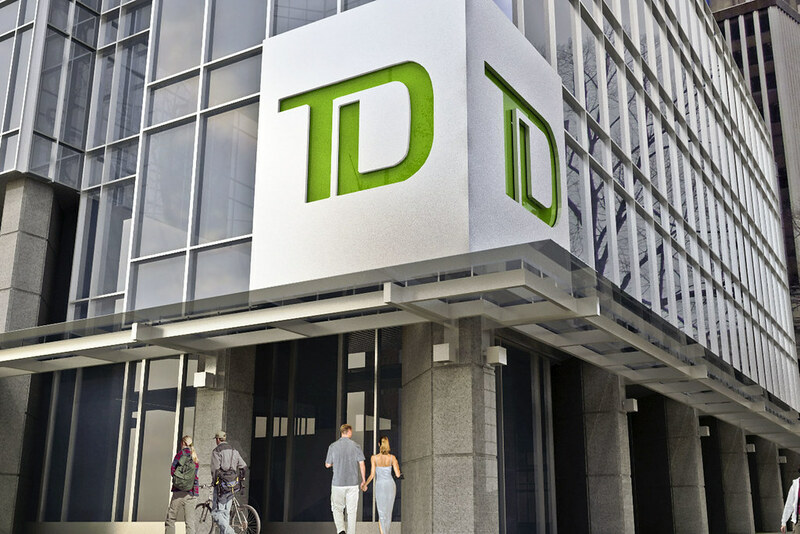 TD Bank Group has 46.405 full-time employees in Canada and 80,000 world-wide. You can apply your Canadian work experience abroad by finding jobs in numerous countries, perhaps even back in your native home! Visit their Job Opportunities page to apply. Air Canada is the largest national and international airline in Canada serving more than 200 airports on six continents. Parlez-vous Francais? Providing bilingual services, the airline has the advantage of reaching both French and English travellers around the world! Have you ever thought about applying? Want great perks? Employees receive discounts on air travel, duty-free products, and cargo shipping. Awesome- eh?! They make work-life easier by providing on-site employee amenities including lounges, cafeterias and fitness centres. ILAC International College had the pleasure to welcome guest speaker Kevin Landry, the Onboard Service Manager at Air Canada, to our campus. Look here for more great information on the company. Interested in more than just being a flying passenger with Air Canada? Check out their career page. Most java lovers already know the name Keurig for offering premium coffees, teas and other beverages. Now is the chance to know them even better with a job in their Canadian chapter. Unique values: Keurig programs support local and global communities; and try their best to reduce their environmental footprint. Strength – Community Involvement: employees can volunteer on company time for up to 52 hours per year. If you’re looking for a great cup of coffee to enjoy at work while revolutionizing the Canadian beverage marketplace through sustainable eco-friendly initiatives, then this may be the place for you! Connect here to find out about your future job! Are you dreaming about working at a place that is committed to employment equality? Well, this employer can make your career dreams come true! The City of Toronto was selected as one of Canada’s Best Diversity Employers in 2017. Empowering Women: City of Toronto built a Women’s Network that supports women’s participation in local government. We totally approve this initiative! Just imagine how you could use your SEB leadership skills. What’s more, they created a mentoring program where women can learn from esteemed female city councillors. Integration: the employer runs the Profession to Profession Mentoring newcomers program which has created over 1,500 mentorships since launching. What a great opportunity for you! Just to let you know! You can build and create your resume directly on their website and apply to be one of their 22,983 employees. Their main goal is to provide the best customer service to their users. Isn’t that what you learned in the Service Excellence for Business program? Rogers provides communications services over various networks such as wireless, home phone and monitoring, TV and internet. They offer a huge variety of jobs including everything from call centre positions to home service repair roles; opportunities to work in radio, TV, and print magazines; along with a whole range of jobs in digital publishing and marketing. Long-term career development: leadership training and formal mentoring are offered. That’s a great way to deepen your skill set! Workplace atmosphere: they provide quiet and interactive work zones, access to new technology, public art displays, theatre facilities, onsite medical, discounts at local restaurants and much more. Want to be one of their 22,305 employees in Canada? Click here for your chance!